Tattoos come in a wide variety of themes to encompass the diverse range of human emotions. Specific categories of tattoos have emerged which symbolize specific but interrelated sets of emotions. Om is a universal Hindu symbol and is the first syllable in any prayer. In Hindu mythology, Om symbolizes the universe and ultimate reality and is the source of all creation and life. It represents the 3 aspects of God: Brahma, Vishnu and Lord Shiva. Om leads us from unreality to reality, from darkness to the light and from fear of death to the knowledge of reality. The sound of Om is a slow, calming chant that is used for chanting spiritual texts and is used for meditation purpose for the peace of mind it provides. Getting an Om tattoo conveys the understanding of our primitive and ancient universal principles. Permanent inking of this symbol signifies our affinity to the unifying force and is an appropriate conveyance of our sacred and timeless awareness. In this post, I will be listing some of the best tattoo designs featuring OM in single and coloured patterns. 1. This one of the om tattoo designs for women looks extremely chic and is inked on the ribcage of this lady. 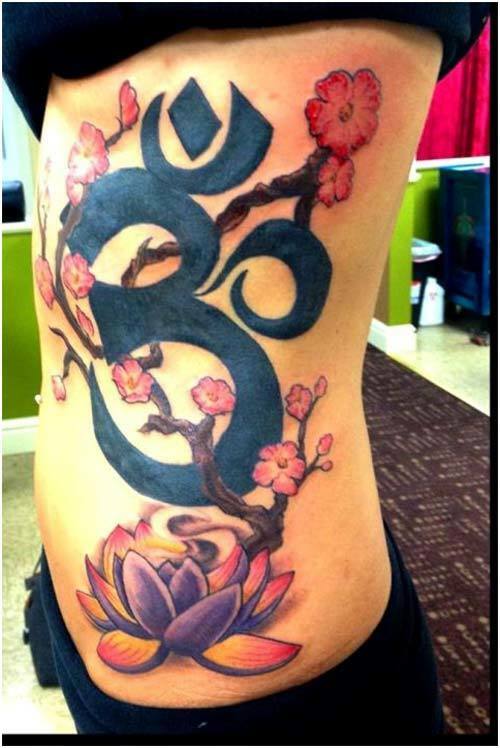 The tattoo covers the entire rib cage and a huge Om is inked with black, combined with flowers and branches with a lotus flower at the bottom. This one is indeed one of the best tattoo designs of Om. 2. This tattoo is placed on the nape and looks ultra-stylish. You can see Pink petals with delicate shades of blue makeup and the lotus with OM inked at the fiery orange center of the flower. The vibrant shades of pink, purple and orange are sure to catch the attention of onlookers. 3. 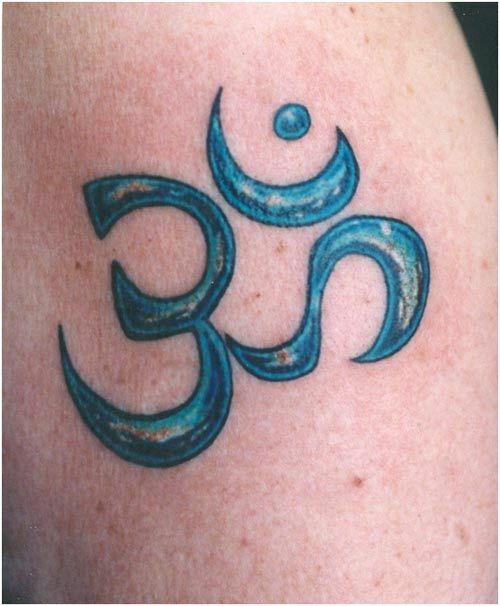 This Om tattoo is styled with a strong flowing line and is inked in blue. The black outlines complete the design. A simple yet elegant tattoo design for anyone. 4. 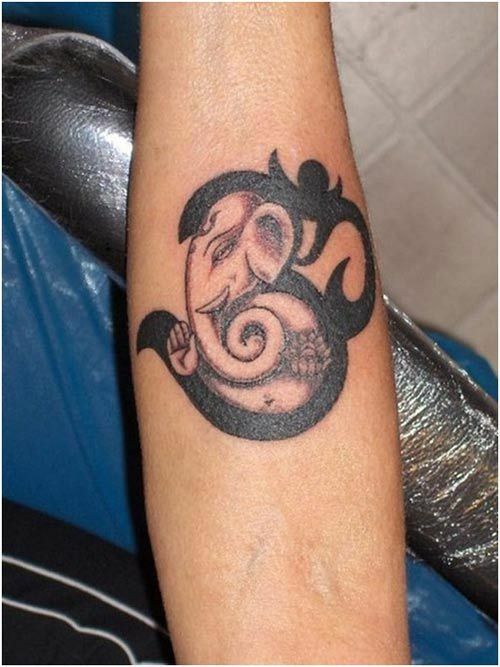 Om tattoos are often clubbed with image of Lord Ganesh. 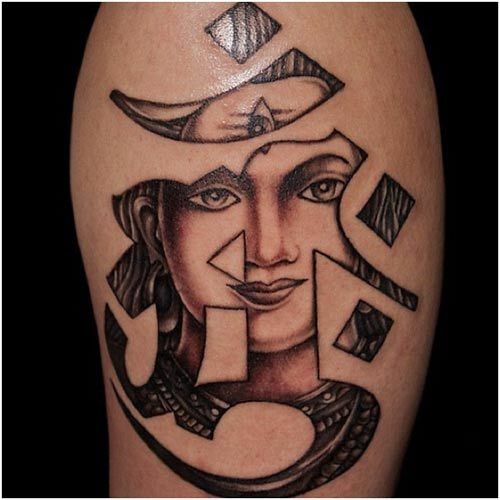 In this tattoo, Lord Ganesh holds a lotus in his trunk while the rest of the tattoo is done in a deep black font. The curves of the elephant head and the arches of the Om flow into each other quite naturally. 5. In this design, the Om symbol inked is inked in solid black as it sits surrounded by delicately lined patterned petals. This tattoo covers a major part of arm, shoulders and the chest area. Sanskrit mantras frame the patterns in this huge tattoo design which adds to its beauty. 6. 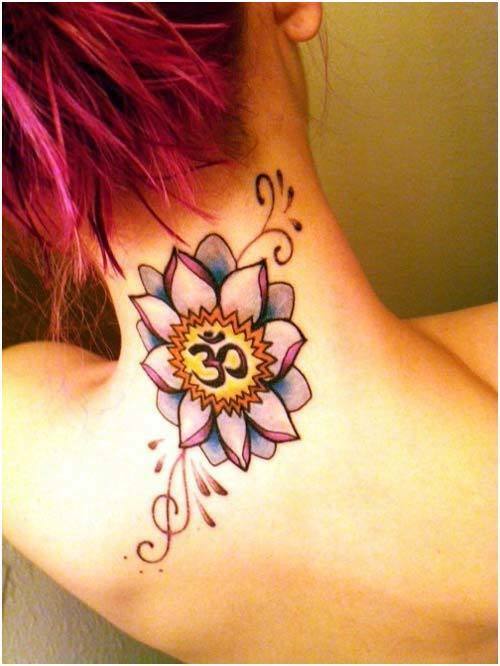 Om tattoo combined with lotus, an ancient symbol of deep consciousness and beauty is often used. The delicate shades of the lotus in orange and the green background in this colourful tatoo shows an Om rising from the heart of the lotus. 7. The shape of Om combines with a face of a smiling Shiva in this modern Indian design idea. 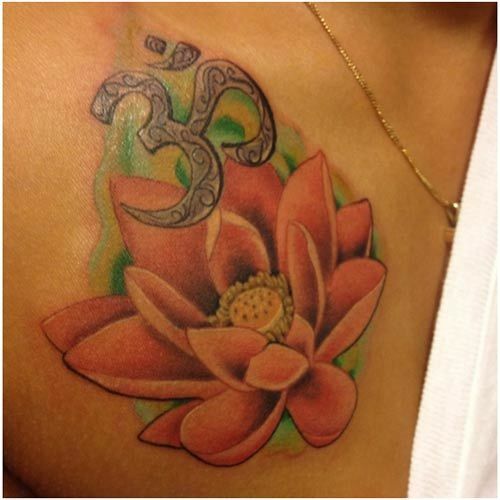 This tattoo symbolize peace and prosperity and this combined with Om provides a peaceful mind and body. 8. The Om symbol comes together with Sanskrit words written around a circle in this single coloured tattoo design. The Om framed in a circular line of Sanskrit chants symbolizes the eternal circle of life. 9. 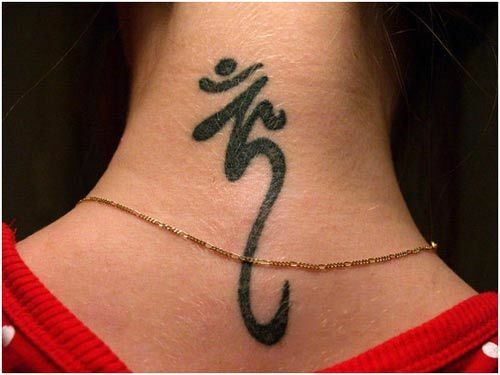 This medium sized Om symbol inked in flowy black patterns and curves looks beautiful on the woman’s neck. Take a look at the graceful long lines and curves made by the Om symbol in this tattoo. 10. This tattoo design looks very similar to our traditional mehendi designs which we apply on our hands and feet. 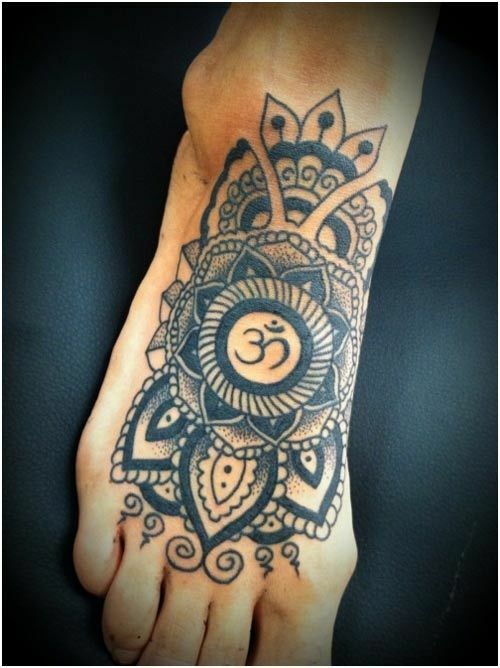 This design covers the entire part of the feet where an Om is placed at the heart of this tattoo design, inside a full-blooming lotus which is further surrounded by Indian traditional motifs. 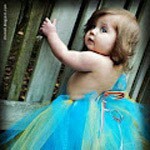 Wish it was inked on some other body part and not the feet which would have further enhanced its beauty. The Om tattoo world is full of many designs! But these are our favourites so far! let us know if you agree. Just drop a comment. More tattoo ideas for you are here at Tattoos For All Android App.